Marco Silva has tipped Cenk Tosun to hit a rich vein of form ahead of Everton's Carabao Cup clash with Southampton on Tuesday. Tosun ended a seven-game blank in all competitions this term for the Toffees, coming off the bench to find the net in the convincing Goodison Park victory against Fulham on Saturday. Now Everton boss Silva believes the 27-year-old could be set for a positive run, starting with Tuesday night's third-round game. "It is good for his confidence and it is really important he scored," said Silva. "It is really important for all our strikers (to score), and of course, for him as well. "I know it was difficult for him in the game against West Ham when he had a chance and didn't score, but this is football. "I am sure now he will get a lot of confidence from this. This will be good for him." The winners will earn a fourth-round trip to Leicester later this month. Silva is likely to make a number of changes to keep his players fresh and hand opportunities to those who have been waiting patiently. With Mark Hughes in the mood to shuffle his pack, Matt Targett and Stuart Armstrong are other Southampton players who could get a chance to impress. Shane Long (toe) is unlikely to be risked, while Danny Ings, Alex McCarthy and Nathan Redmond could all be rested. This will be the 100th meeting between Everton and Southampton in all competitions but just the second in the League Cup - the Saints won 2-1 in the second round in 1971-72 in the only other meeting. Southampton are winless in their last 14 away matches at Goodison Park against Everton (D4 L10), with all matches coming in the Premier League. 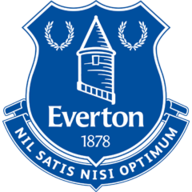 Everton have been eliminated from five of their last six League Cup ties against fellow Premier League opposition, with their only victory in this run coming on penalties in the fourth round in 2015-16 against Norwich City. 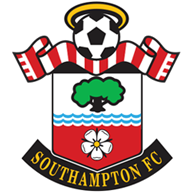 Southampton have won nine of their last 11 League Cup matches against Premier League opposition (L2), with their two defeats in this run against Liverpool in the 2015-16 quarter-final and in the final in 2016-17 against Manchester United. Since his debut in the League Cup in August 2015, only Kevin De Bruyne (7) has scored more goals than Dominic Calvert-Lewin (6) - he has scored five times in three appearances in the competition for Everton. Southampton manager Mark Hughes has progressed from five of his previous six League Cup fourth round ties - his only defeat came against the Saints in 2014-15 while he was Stoke manager.